One of the hardest things about gifting is figuring out the right size. Luckily, we have ways to work around that! These ten gifts don't require sizes and will be enjoyed by any runner or walker. From a simple stocking stuffer to a major gift, we have a something memorable for everyone. The importance of a good sock is underrated. At Fleet Feet Pittsburgh, we carry Feetures and Balega socks, both of which are specifically designed to fit, provide support, and not rub. With seamless toes, supportive arches, and quick drying technology, these socks are sure to be a hit. Make sure to check out all of the colors and styles! In the winter it can be tricky to find time to run or walk in the daylight. Make sure that your runner stays safe and visible with the Luna Fire 250 RX. This chest/waist light comes with a strap so that you can wear it however you want. Not interested in the strap? No worries! The light is removable, so it can clip onto anything! Gloves and mittens are must-haves for anyone who is going outside in Pittsburgh during the winter. Our gloves from Sugoi, Nofel, and more are designed for runners. What makes these gloves and mittens special? They’re toasty, lightweight, wind resistant, and touch-screen compatible! Help your favorite runner accomplish their goals with this memorable gift. Our training programs provide participants with a 16 or 12-week training plan with scheduled daily workouts, a free "Tools of the Trade" workshop series, app-based online coaching, a professional training staff, and more! Both half and full marathon training programs are available. 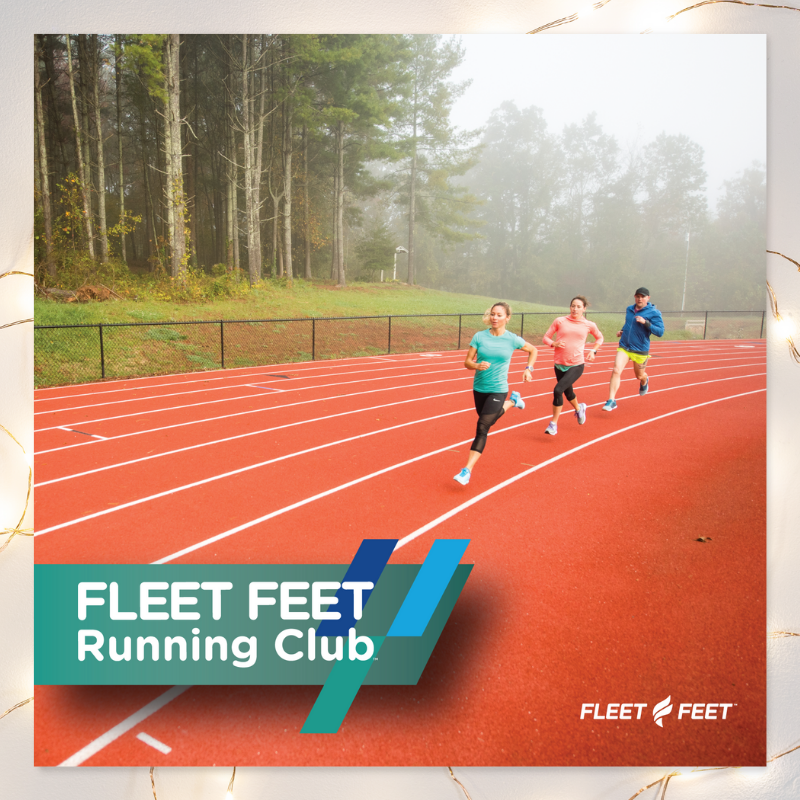 This is a gift that will benefit your favorite runner for years to come! Athletes can never get enough water bottles. This water bottle, however, is a gamechanger. Since the Hammerhead is triple insulated, it can keep your drink hot for 15 hours or cold for a whopping 35 hours. One of our favorite things about this bottle is that every purchase helps to fund the Ocean Conservancy’s Trash Free Seas Initiative. Sometimes the best gifts come in the smallest boxes. Whether they’re a beginning runner or have been running for years, a Garmin is the perfect gift. We carry a wide variety of trackers and fashionable smartwatches which are perfect for all athletes, not just runners. These amazing watches track different activities, calories, pulse, and more. They also have an insane battery life. Comfort is always the perfect gift! This massager is one of our favorites due to its versatility. Not only does this work on feet, but it works on ankles, calves, and arms as well! Unlike a lot of massagers, this is lightweight and portable. It even has three intensities, so it works for everyone. Runners and walkers often listen to music which means that they may not aware of their surroundings. Keep them safe with Aftershokz headphones. These aren’t just any headphones: they’re specifically designed to allow the wearer to hear background noise while still providing amazing sound. Even though they let the sound in, they amazingly don’t let the sound out. Goodr sunglasses have earned their name. These are the perfect piece for any runner or walker. Sunglasses can be a tough gift, but this simple style looks good on everyone. What makes these polarized glasses unique, however, is that they don’t slip or bounce so they stay where they’re supposed to. They also come in a phenomenal range of colors with names like Flamingos on a Booze Cruise and Swedish Meatball Hangover. Gifting shoes can be difficult because you may not know someone’s preferred size or style. Make life easier by purchasing a gift card. By doing this you aren’t only gifting shoes, but you’re gifting an experience. With our Fit ID technology, trained fit specialists, and eleven brands to choose from, we have something for everyone.